Dare was born in Fife as were the two intrepid ornithologists. This beautiful setting of Shelley’s poem could be one of those birds they wrote about after a bombardment by Zepplin on the Forth from which they noted a good many effects to the bird populations quite far from the attack. 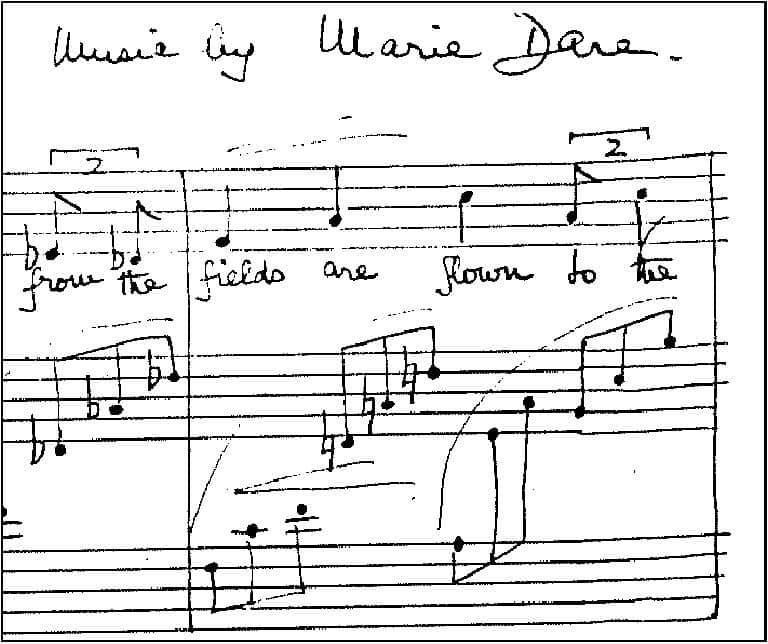 It is performed by Frances M Lynch, Francis St John and Herbie Clarke – but hopefully a choir will sing it again one day – the “good ladies” would definitely approve!